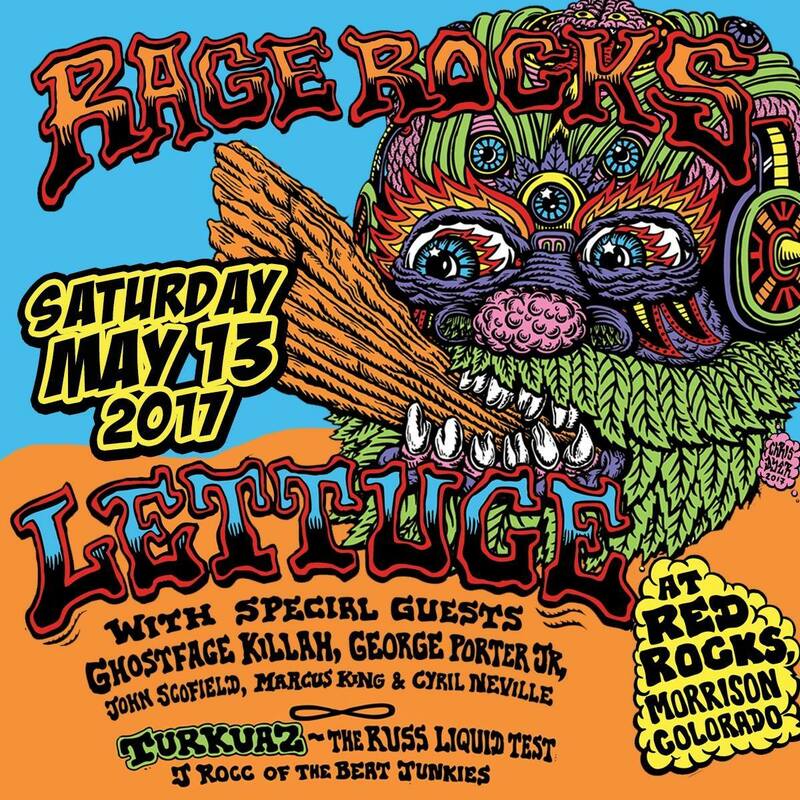 Calling all funk fools, Lettuce fam, music lovers and curious Red Rocks cats alike! The time in almost nigh for the annual Lettuce Rage Rocks. The date set for the Funk rager is Saturday, May 13th, just in time to kick off Summer at Red Rocks proper. The lineup for this year’s Rage Rocks is just as well-rounded and full of talent as ever. The boys are bringing Wu-Tang Clan’s Ghostface Killah in to crush them mic, George Porter Jr., John Scofield, Marcus King, Cyril Neville, Turkuaz, The Russ Liquid Test and J Rocc of The Beat Junkies, so how can you not want in on this orgasmic medley of musical madness? Tickets are still available, but this is is sure to sell out, so score your place on the Rocks now. Lettuce funkin’ Rage Rocks!